May Updates & Honeycomb Card! Hello Friends! I am so glad to be home and back to work. I have so many things to share with you today. I’m going to be sharing with you a Card & Goodie Bag that I’ve made! This bag is full of goodies for anyone who places an order with me this month. Before I share this project with you let me give you an update on some things happening in May! This is always the very best time of the year! A brand new Stampin’ Up Catalog which means ALL new projects & inspiration… oh yea and NEW PRODUCT! If you have placed an order with me in the last 6 months of at least $50.00 or more I will be sending you a FREE catalog! If you would like to get the most for you money you can JOIN Stampin’ Up by purchasing the “Start Kit” for $99 and you get $125.00 in product of you choice, plus FREE shipping! You will also get to see the BRAND NEW Catalog! and you will save %30 on your very first order! What a great way to save yourself a little bit of cash on all the amazing new product that is coming in a few short weeks. You can join my team HERE! Now enough with all the updates and chit-chat lets dive into a project today! I really enjoyed using the Honeycomb Thinlit Die! You just have to remember to use wax paper in between the die and cardstock. I did this card in two different colors! I wasn’t sure how I would like the Melon Mambo, turns out I love it!! I enjoyed making these cards! 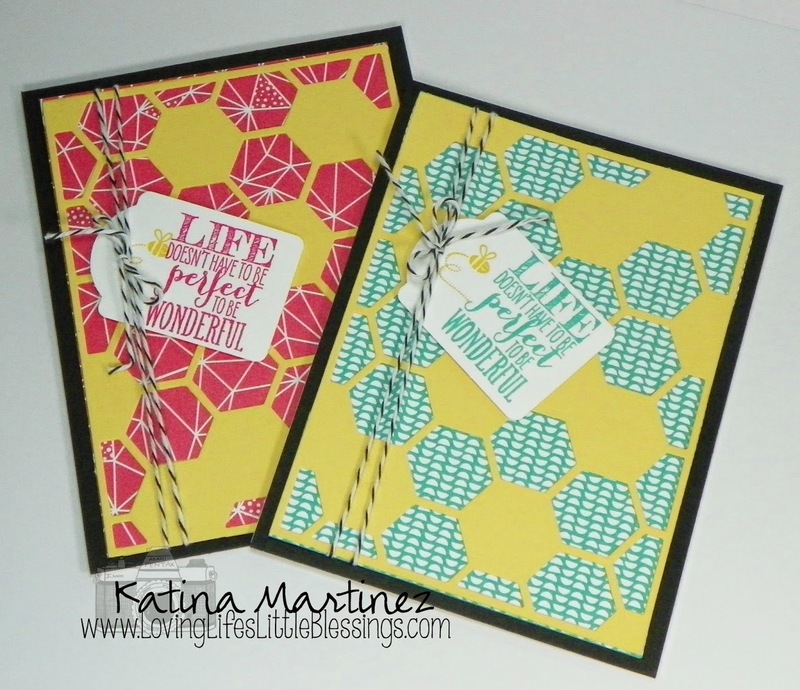 There is just something about Bee Stamps and Lady Bug Stamps! I can’t get enough of those things! Anyone ever see “The Bee Movie” My kids LOVE LOVE that movie and it would be cute to have a little Bee Stamp that looked like Barry! 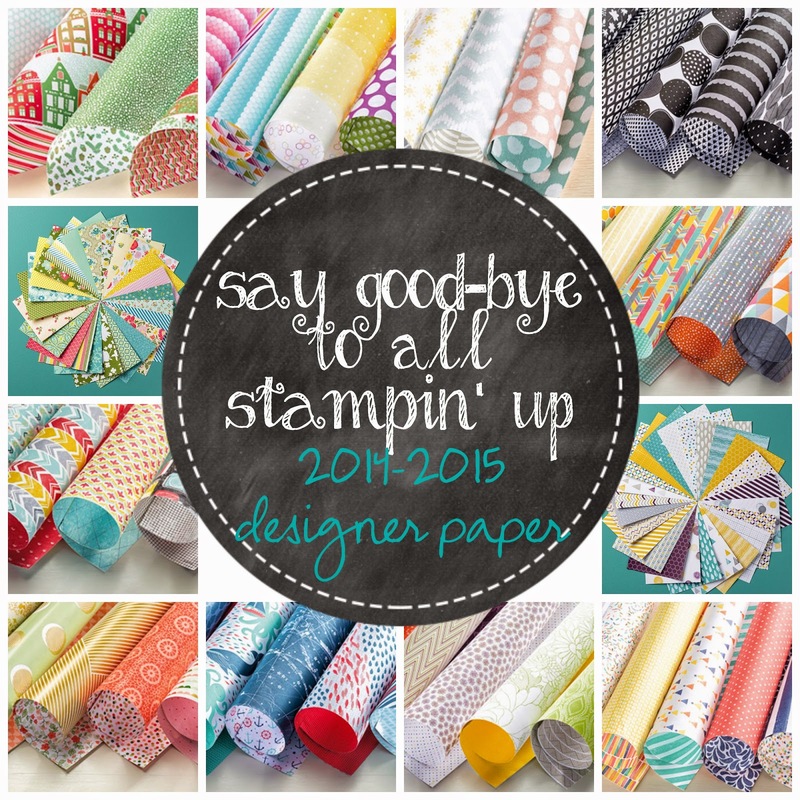 Remember that ALL Designer Paper will be retiring at the end of the month and you will not longer be able to buy it! Please stock up when you can! You can purchase them HERE. Some of them are on sale right now. I’ve already picked 4 of the Moonlight Designer Mini Stack because I love it so very much!!! Its 50% off right now. 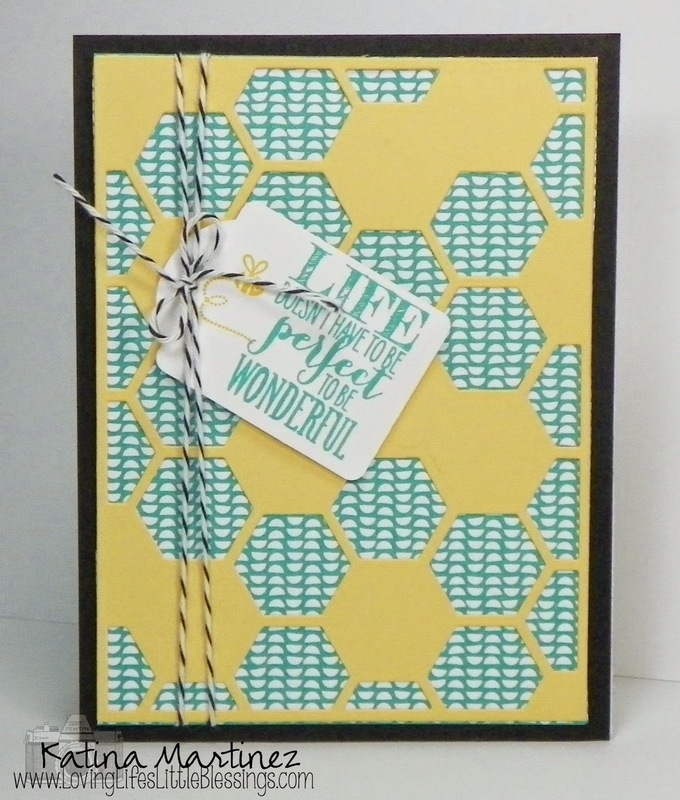 2 Responses to May Updates & Honeycomb Card! Hi Felicia, I wil be sending Catalogs out this next week!!! !